I’m delighted to announce that Awesome Food (of which I’m a trustee) has selected our first $1,000 micro-grant: CompostMobile. I had the great joy of calling Jennifer to tell her the good news, and let me just say that I could get used to calling people and telling them they’re awesome, doing awesome things, and that we’re giving them $1k to make the world a more awesome place. We had over 600 applicants, many of which were truly, well, awesome. (It’s a “rolling pool,” so we’ll still consider the other applications in future deliberations.) Perfect ice cubes? Random sandwiches? Gardens for schools? Lots of awesome ideas; enough to call someone every day instead of once a month! Here’s the announcement we sent out—please help spread the word! Awesome Food is superexcited to announce that its inaugural micro-grant of $1,000 has been awarded to Compost Mobile, a residential compost service based inMiami, Florida that provides a home pick-up service for food scraps that are then delivered to urban farms and community gardens. 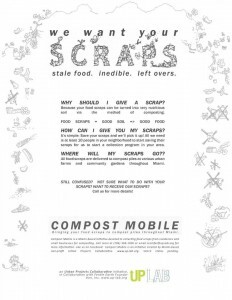 Compost Mobile, which is a project of the non-profit Up-Lab, was chosen out almost 600 applications submitted to the first round of Awesome Food call for proposals. Jennifer Siqueira, coordinator of Compost Mobile and co-founder of Up-Lab with Hector F. Burga, had been working in community gardens locally, when she learned of a similar scraps to-compost effort in Washington DC. (There are similar efforts throughout the country). “With this funding opportunity from Awesome Food, we can get more people participating in the program and coordinate with other Up-Lab efforts of similar scope,” she said. The first compost pickup, which took place in July 2011, was a 10 pounds of compost delivered to the compost pile at Earth & Us Farm in Miami. Compost Mobile started with only two households in July, but grew to four households in August and eight households in September. Now the service collects about 30 pounds of scraps per week from between 15 and 20 residences and small businesses. 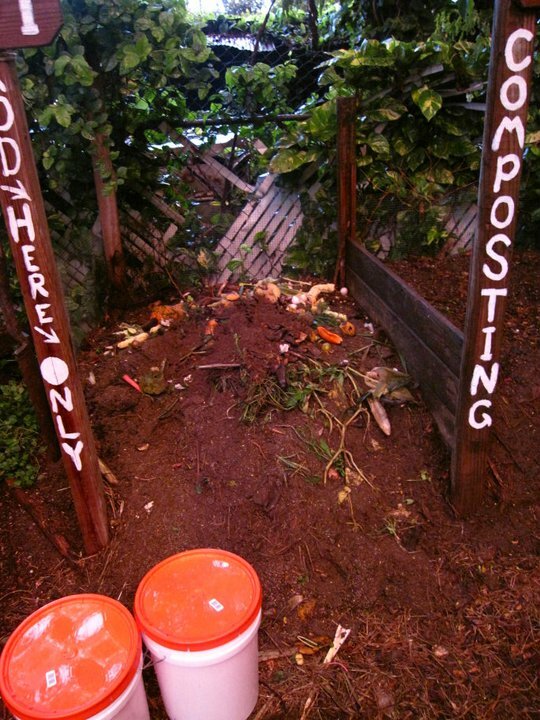 In order to start collecting scraps in any neighborhood, they need 10 homes to compost in each area. Currently, they are hoping to start four groups in Miami Beach, Brickell, Upper East Side and El Portal. Compost Mobile will use the grant towards purchasing more composting buckets, which cost around $18 a piece, for clients’ homes. 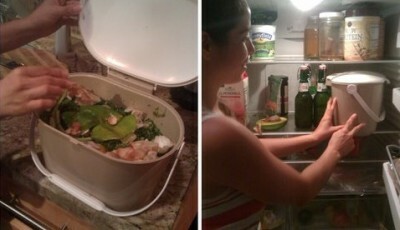 For more information about Compost Mobile, contact at Jennifer[at]up-lab[dot]org! You can also follow the project on Facebook and Twitter. Below is a picture of Compost Mobile’s first batch of food scraps which was delivered to the compost pile at Earth & Us Farm in July 2011.